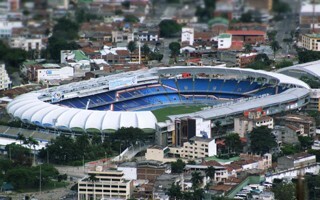 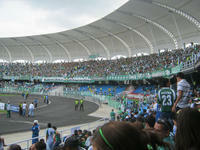 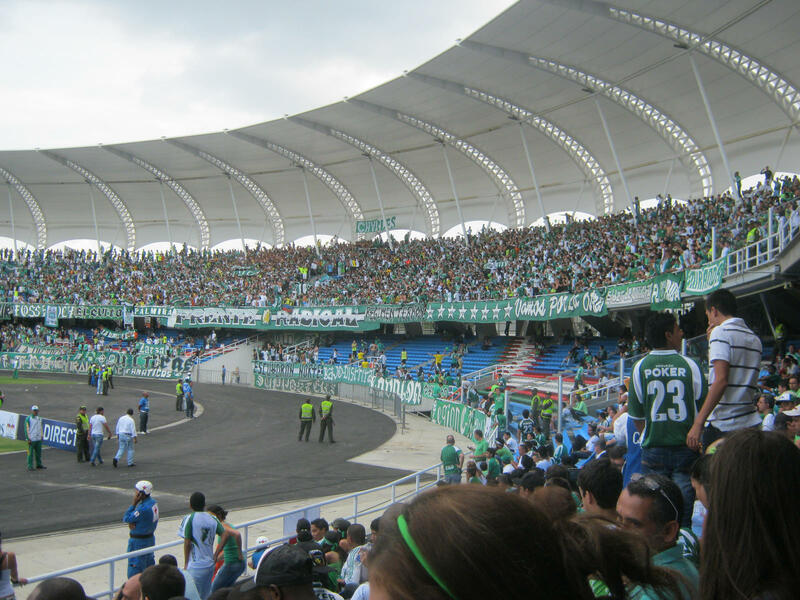 Construction of a new stadium in San Fernando district (thus the nickname Sanfernandino) became possible in 1930 thanks to poet Pascual Guerrero, later patron of the ground, who donated land for the investment. 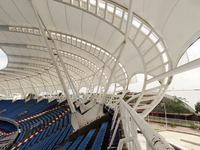 Its opening took place in 1937, coinciding with Cali's 400-year anniversary. 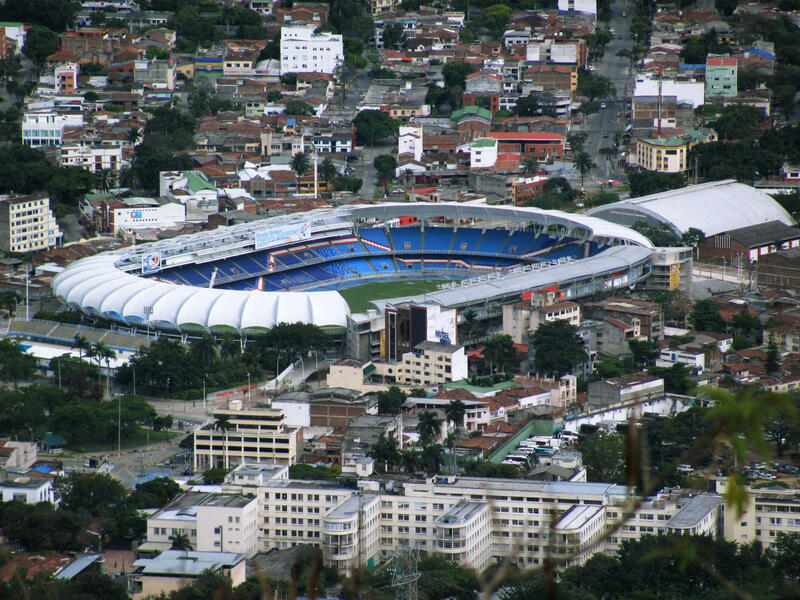 Football moved in around 1948, while in 1954 decision was made to expand to nearby land with swimming pools, gymnasiums, etc., creating one of the best sports complexes in all of South America. 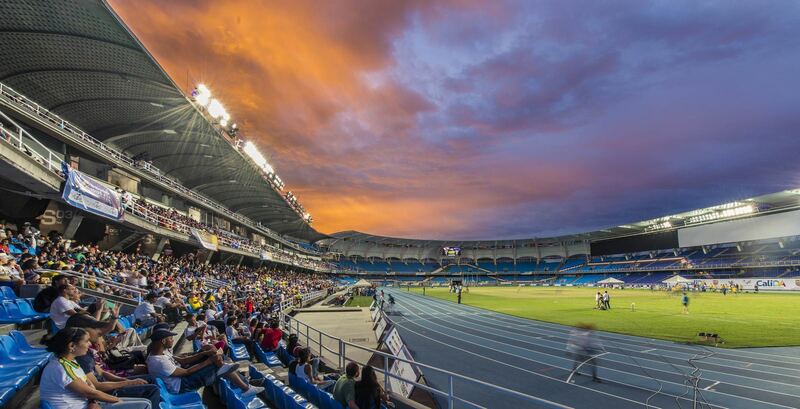 Though football wasn't the primary sport, it soon started growing with two largest clubs of Cali, America and Deportivo, finding their home for decades at this very address. 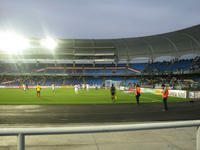 Interestingly, fanatic supporters of both sides occupy the very same sections of the stadium (upper tier of the southern stand), contrary to worldwide custom that opposite ends are chosen at shared stadia. 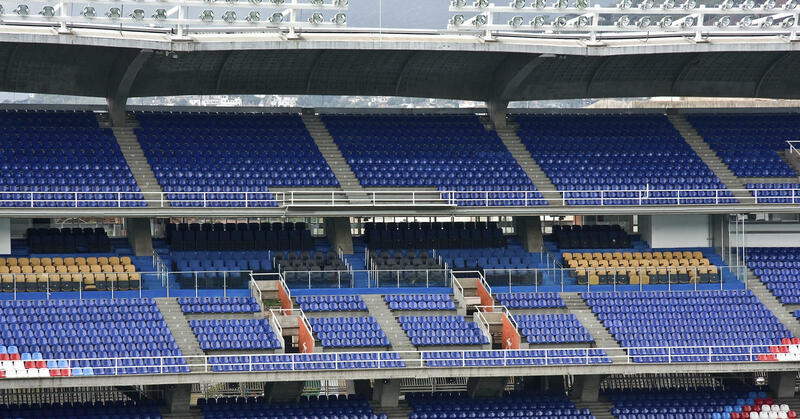 Of course during derby clashes the 'away' side gets the northern away section, almost identic to their regular location. 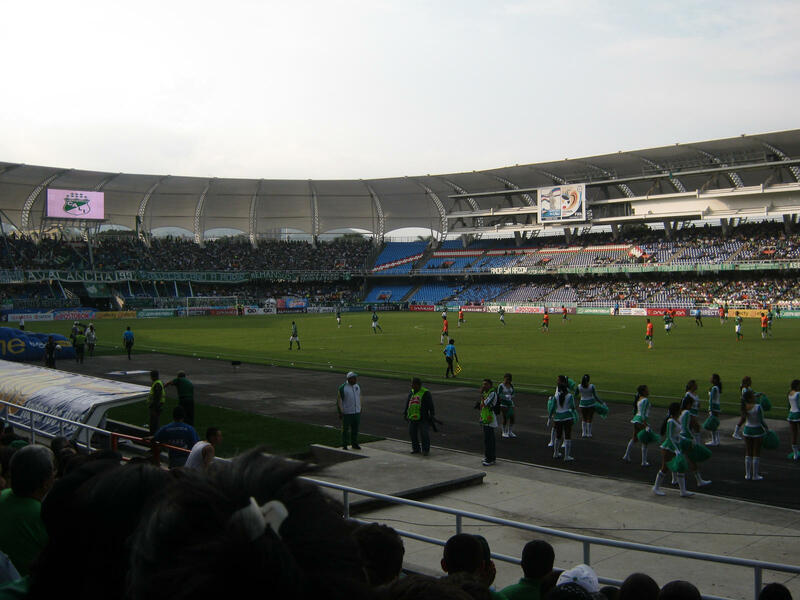 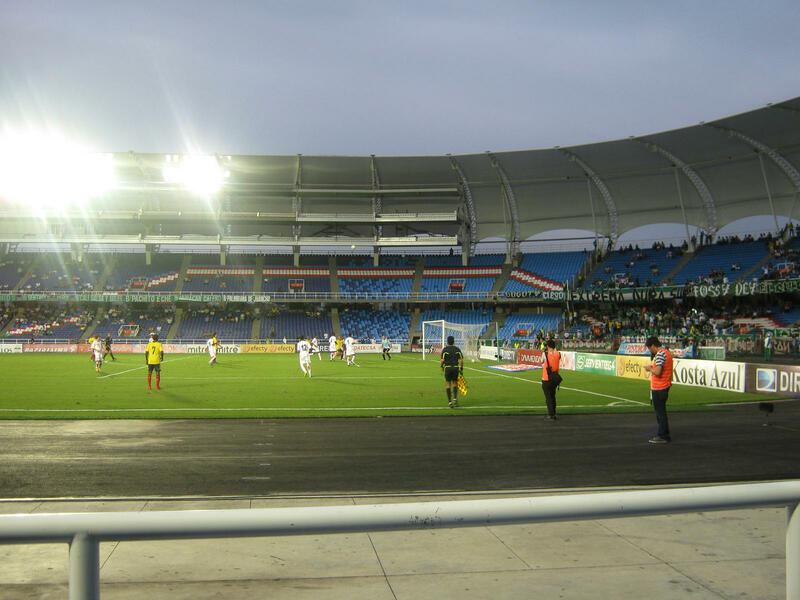 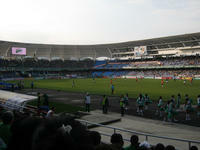 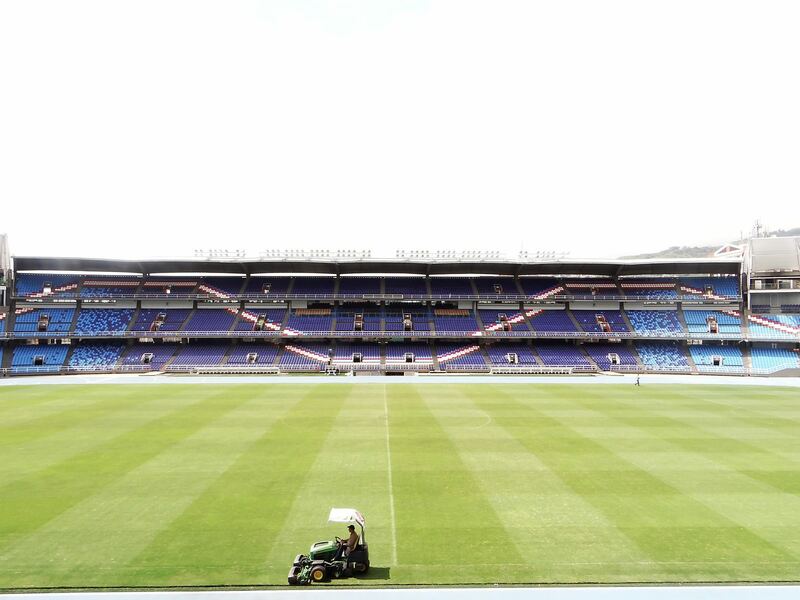 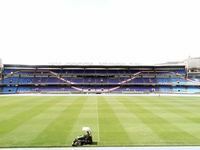 The stadium went through several major revamps, mainly ahead of large tournaments – before 1971 Pan American Games, 1994 Pacific Games or 2001 Copa America. But the most spectacular changes came for 2011 U20 World Cup. 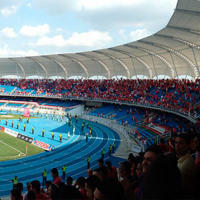 Three sides of the stadium received their very first roof, while the east one also got balconies for press representatives, later transformed into regular advertising space. 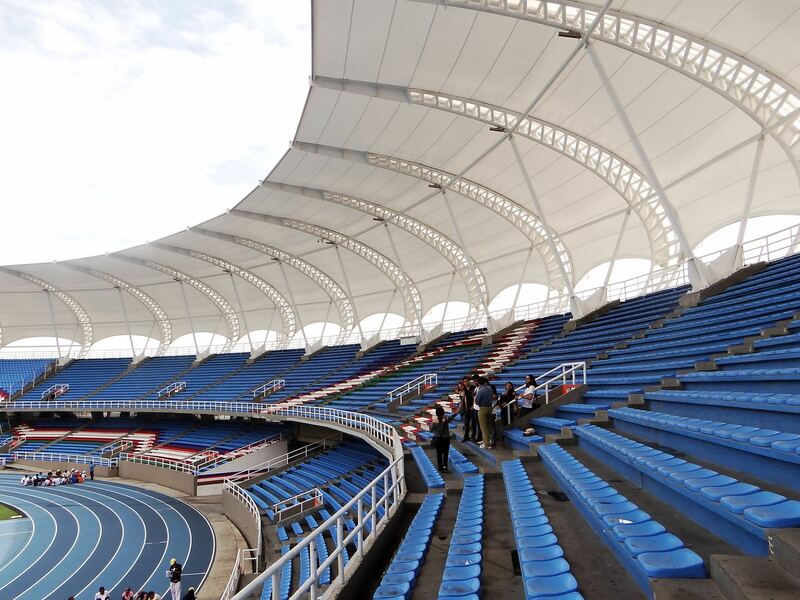 Ironically, the stadium wasn't ready for the 2011 event, getting finished afterwards.